Michelangelo once said regarding his artistry as a sculpture that the statue was already encased in the marble, he just chipped away anything that was not the statue. I find the most important part of the creative process, as a poet, is the process of re-writing. Like Michelangelo, I sometimes feel that the poem already exists and that the process of drafting and redrafting is akin to a sculptor “chipping away everything that is not the statue,” or in my case, the poem. One evolutionary development of Post-Modern poetics is the rhizome. In the process of re-writing the poem we do so, of course, with some vision of the poem’s final incarnation. There are also considerations to be given to the physical structure of the poem itself as it appears on the page. In the post-modern age artists veer towards the creation of works that are dramatically different than the styles the dominated in the late Nineteenth and early Twentieth centuries. When public access to visual imagery was limited, so was the level of literacy. Rhyming was a necessary component to song and poetry writing. The reason is simple, how else to remember a thousand lines of poetry when you can’t read if the damn thing doesn’t rhyme? Now, at the dawn of the Twenty-First century we find ourselves constantly surrounded and bombarded by a cascading flow of visual imagery. Indeed, the average person today can see as much visual imagery in a day as a serf from the European Dark Ages was likely to see in a lifetime. As a result, our attention span has shortened and our need for the rhyme as a method of memory retention has faded. Rhizomatic poetry reflects a parallel evolution in our literary tradition. The rhizome is defined as a type of plant-life that grows without any central root and in no particular pattern. Rhizomatic poetry defines a type of poem that typically lacks central organization structural patterns. It may also depend on a literate audience that can project an understanding of issues the poet may only allude to in the poem. Poetry prepared in a heavily structured style, such as a Shakespearean sonnet, is no longer the vernacular of the everyday reader. Consequently, writing in such a format is likely to isolate the writer from the reader. This is not to suggest that there is no place for rhyming in modern poetry, for certainly it still serves a purpose. From rap-style poetry slams, to more subtle uses where a couplet might be used to emphasize a point, the rhyming structures are far simpler than the older sonnets and villanelles. Nevertheless, as the rhizome has evolved in response to the formal structure from earlier periods, it has developed among academics into a language almost unto itself, requiring a formal and sophisticated higher education to fully appreciate the literary allusions and poetic mechanics. 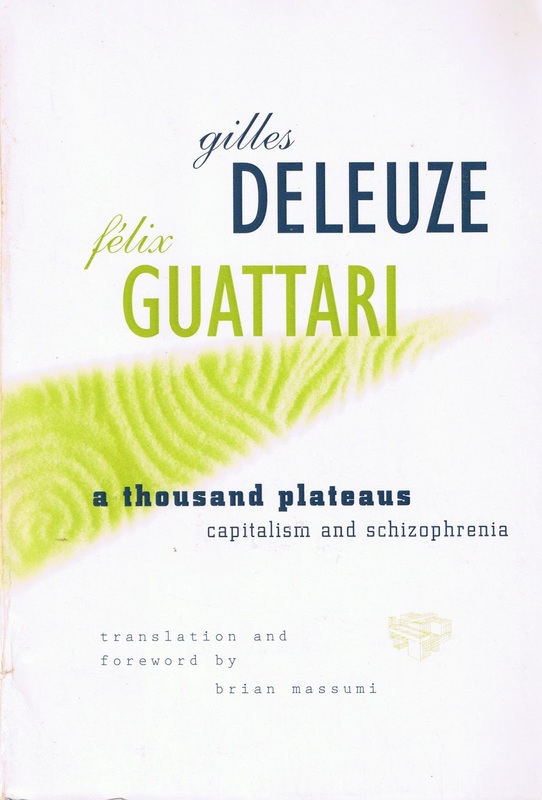 Gilles Deleuze and Feliz Guattari in their book, A Thousand Plateaus Capitalism and Schizophenia, states “A rhizome ceaselessly establishes connections between semiotic chains, organizations of power, and circumstances relative to the arts, sciences, and social struggles” (Deleuze and Guattari 7). The poetics behind the rhizome, seeks to connect ideas to larger academic disciplines and social constructs. The human mind naturally seeks patterns, so the rhizome challenges that basic inclination. By forcing a conflict with the reader, the writer engages the reader and forces a reaction. The potential flaw in rhizomatic poetry is that the topics often explored are so esoteric that it appeals to a relatively small part of the population, even among those inclined to read poetry. When that has occurred, I feel the poem has failed in its most basic mission — to communicate ideas simply and effectively. 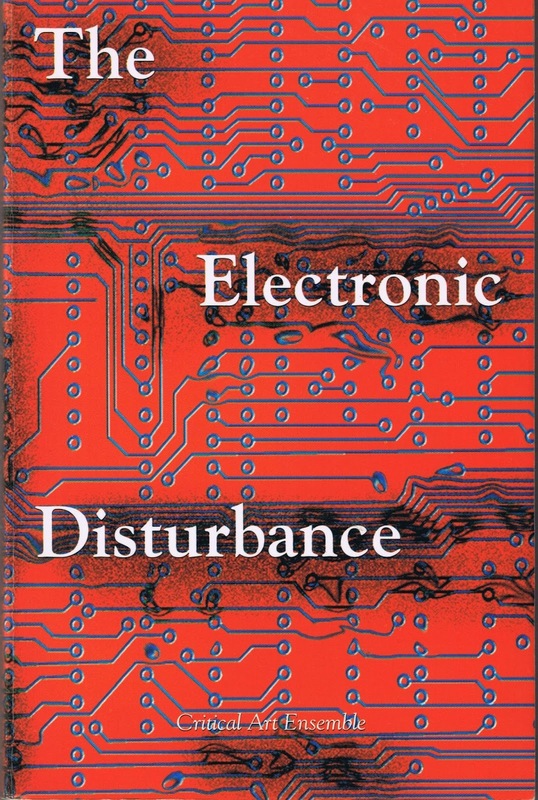 The Electronic Disturbance, by the Creative Art Ensemble, uses the rhizome to explore the effect of mass media/communications on the individual. The work below, while taken out of context from the text, nonetheless ably demonstrates the rhizome as an approach to poetry. This particular piece is meant to reflect the contribution of the classical Italian poet Dante to what the authors call “The Virtual Condition,” which they define as the effect of technology in removing the boundaries between such bodies of knowledge as history and philosophy, to produce a new body of knowledge, and a new language to express it. In the above example, the poem is repeated nearly word for word, exchanging only “earth” for “screen.” The different fonts used suggest different voices, sort of a religious antiphonic response. This is a technique used throughout The Electronic Disturbance. Yet, in reading the above piece, one cannot help but feel a sense of ambiguity on behalf of the author. This poem, this rhizome, is more of an intellectual exercise rather than a visceral emotional release. I certainly enjoy poetry as a cerebral exercise; however, the high-brow academic intellectualism of the rhizome often leaves me with a sense of detachment, rather than engagement. Any relationship between Dante and the overall theme of the text in the above piece seems a bit buried in an monologue completely shared with the reader, unless you already speak the language of the rhizome and happen to know that Dante died in 1321 (ergo the numbers in the title). The above poem was composed in a workshop led by Professor Pierre Joris at the University at Albany. Joris is an author and a leading proponent of the rhizome as a poetic model of composition. This poem was composed using a "restricted vocabulary;" avoiding longer words layered with meaning and instead utilizing one or two syllable words that are essentially at a grade school level of comprehension. The rhyme is still present, leading the reader from one line to the next, but it follows no particular pattern. Joris defines the rhizome in Action Yes Online Quarterly, Winter 2011, in a manner that exemplifies the academic obscurity of the rhetorical tools used to develop this particular genre of poetry. If you managed to survive reading the above you will now understand why I stopped writing poetry for about a decade after taking Joris’ class. The use of literary technical jargon by devotees of the rhizome puts a distance between the poet and the reader, rather than creating an emotional connection. To his credit, however, Joris is a generous instructor who gave me the freedom to explore my own voice and I consider him an important influence on my later work. Both of the above poems show the flexibility of the rhizome as an approach to modern poetics; however, the academic basis of the rhizome does limit the audience. In contrast, the poetry read at modern-day “slams” is much more visceral in its emotional content and arguably enjoys wider popular appeal. Indeed, poetry of the rhizome is often better appreciated when read alone or in small groups than before a larger audience. Whether any poem succeeds, however, is wholly dependent on a relationship between the writer and the reader. Certainly, poets should write for themselves first; however, if the poet is the only one who “gets” the poem, so to speak, the poem has failed. Great poetry, in addition to the mastery of a certain style, should be visceral, the kind that leaps off the page, kicks you in the gut, and sticks with you. Or, as Robert Penn Warren wrote, "You can feel a good poem in your toes." Action Yes Online Quarterly. actionyes.org, Winter 2011.